This beautiful Bolero has a shawl collar, long or three quarter length sleeves and is fully lined. You can play about with the length by adding a ruffle to the hem. The sleeve is plain with a slit and turn up or the cutest light ruffle. 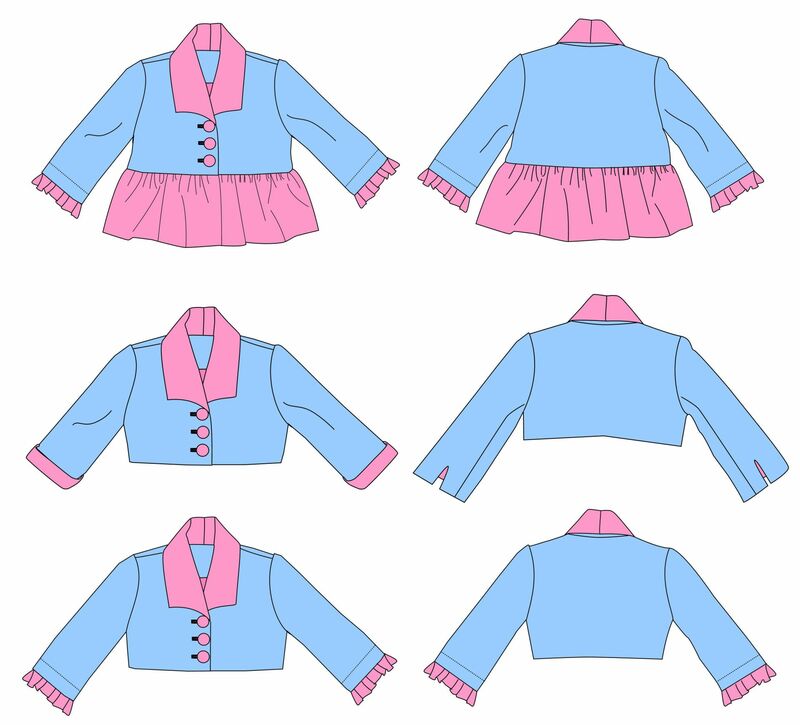 The pattern runs from age 1-2 to 10-12 and is included in the price. There is also a detailed E-book which covers all aspects of making. The course is in both English and German. This gorgeous little jacket reminded me of a spring day in Paris! It's just adorable and finally a jacket which can be worn with all those sleeveless dresses you are making! The attention to detail will win you over. The sleeves are set in and run smooth around the shoulder. The blissful little ruffle adds a playful element to a practical well fitting jacket. Are you intrigued yet how this is made? I used to make these by the dozen, when I still sold my bridal selection on Amazon. You can not get a better fitting, gorgeous little jacket anywhere. So take a deep breath and challenge yourself to this french adventure! The pattern in both US letter size and DIN A4. Pattern is included when you enroll to the course. (Age 1-12) For intermediate sewists who want to step up their game!